Trans advocate Tiq Milan says he didn't become a man to become part of a patriarchal system. Rather, he hopes to lead by example to disrupt those ideas. "Tiq Milan is a public speaker and writer who addresses issues about intersectional leadership, transgender rights and racial justice. 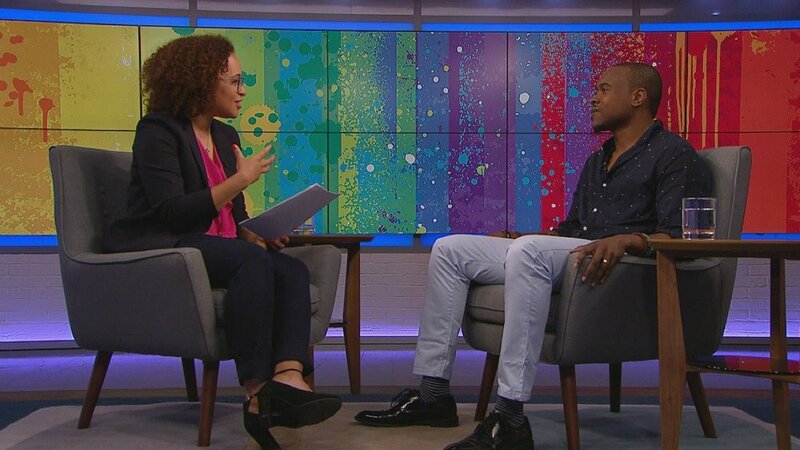 From his home in the Bronx to conferences and colleges around the country, Milan has spent the past decade sharing his personal story and his vision of equality for trans people of color." "There’s a revolution going on. A revolution of thought, self-expression, and self-actualization. As a society, we have begun to confront the way we talk about identity, whether it be in terms of race, gender, or sexual orientation. Queer people of color, as an integral voice in this conversation, have often had no choice but to confront — and be confronted about — their identities. For the first time since perhaps the Harlem Renaissance, the souls of queer black folk have been depicted on our own terms as we take control of our narratives — but nearly 100 years on, we have earned the freedom to be far more open and honest than Langston Hughes, Zora Neale Hurston, or Countee Cullen ever could. This is the new renaissance." "Feminism is more than just knowing and celebrating the value of women and feminine people, it’s also about being accountable. It’s about speaking back to and challenging misogyny in our culture. It’s examining how I contribute to sexism as a man because being transgender does not preclude me from this. At the dawn of my transition I was focused on my physical body and coming to a place where my gender identity wouldn’t be challenged or negotiated. Now, 9 years in, I’m intent on refining my manhood. I am becoming a man by my own design and that has meant unlearning and re-learning everything I thought I knew about masculinity and its relationship to the world. Coming into the understanding that masculinity is not the opposite of femininity but its counterpart gives me a starting point to build authentic solidarity and shift the way we think about the role of women and femme identified folks. We’re only better together and manhood cannot be defined by how “un-feminine” it is but should be invested in creating healthy consanguinity." What piece of writing of yours are you most proud of and why? All my pieces have a special place in my heart. They all expand on different parts of my life, intellect and passions in unique ways. I’m in the midst of writing my book, Man of My Design, a memoir and an examination of system masculinity. It’s a challenge that has made me dive deep into my past and my future. It’s the most important piece of writing to date and I can’t wait for folks to read it next summer. What differentiates activism and slacktivism? I think this idea of slacktivism is messed up and a bit ableist. Real change happens through social media. Black Lives Matter started as a hashtag. Feminista Jones galvanized protests all over the country via Twitter. There is nuanced and radical information and calls to action being shared via these networks. Also, everyone physically can’t get out there and protest or disrupt traffic or press conferences. For some folks who are disabled or chronically ill their participation is from behind a keyboard. For working parents or folks who just have too much on their plate but they care about the issues, signing an online petition or retweeting is all they have space for. It’s completely unfair to invalidate that. We all don’t live in a liberal metropolis with resources and several organizations to sort out the legal aspect of transitioning. I have friends and colleagues in states like Texas, Georgia, and Florida who can’t get their documents changed due to high court fees or the mandatory stipulation that you must have specific gender-affirming surgery in order to qualify as a “real” trans person. Having to discuss your private parts or medical history to authenticate your existence is unnecessary and undoubtedly humiliating....Now that marriage equality is here, we need a more intersectional and nuanced approach to the plurality of needs of our community. Marriage equality for some does not necessarily translate to equity for all. On this week’s episode: A chat about the wild Rachel Dolezal saga, Tracy’s Joke Time, some inspirational words from Kanye West, and an interview with the incredible Tiq Milan. "Caitlyn Jenner’s arrival was a stunning and courageous debut. Coming out as transgender and living your authentic self is commendable and brave. But her experience should not mask the nuance and complexity of the transgender experience." “I would love for schools all across the country to allow students to come to prom in whatever makes them feel good and with the date of their choosing. Prom should be for all high schoolers.